This is a lovely small pendant. 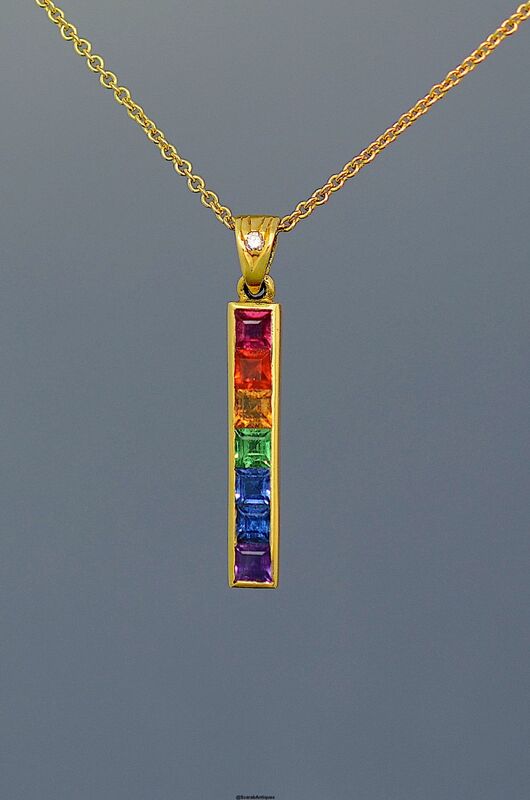 The rectangular 18ct yellow gold pendant is channel set with 7 square cut stones namely 4 garnets being red orange yellow & green followed by 2 tanzanites and an amethyst. It has a diamond set loop through which runs an 18ct yellow gold chain.